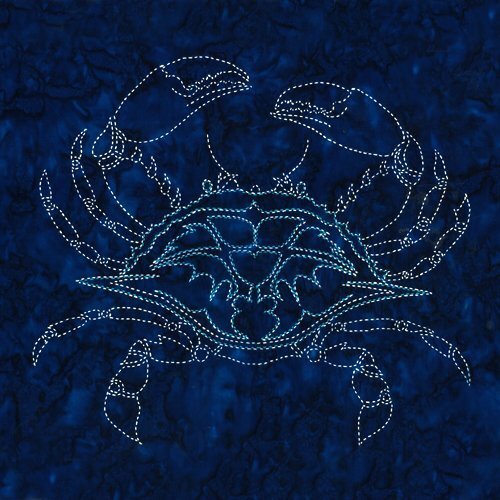 This version of the Crab Sashiko Panel is printed on Blue Moda Marbles. Includes sashiko instructions. Thread and other supplies sold separately.